This article explains how to download your session activity or invoices from past months. 2. Click on the "View Account" button underneath your account name. 3. 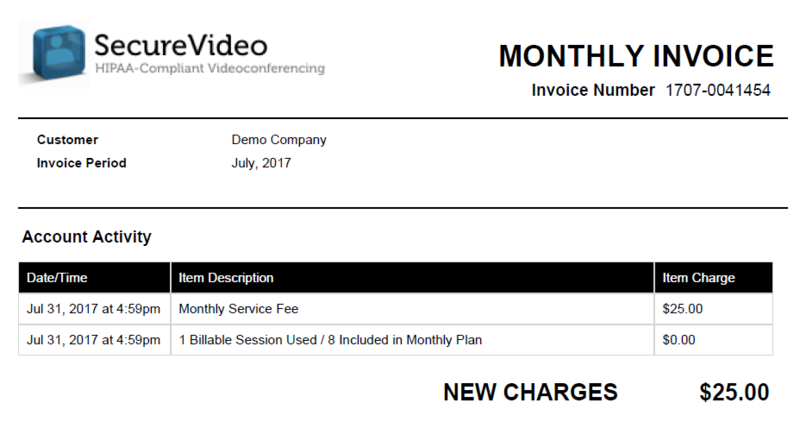 Scroll down on the page and click on the "View Invoice" button for the month that you want to view session history for. 4. Scroll down on the next page for the invoice and session history for that month. To generate a PDF of the month's invoice, click the "View Paper Invoice" button at the top of the page. PDFs are generated in the timezone of the oldest Account Administrator user. To download an Excel 2007 spreadsheet of the month's session activity, click the "Download Activity" button at the top of the page to jump to the account's Session Usage. This article was last reviewed by our Support team on August 28, 2017.